Phoenix is a range of premium 38mm decorator rods, which can be adapted to suit both a traditional or contemporary décor. 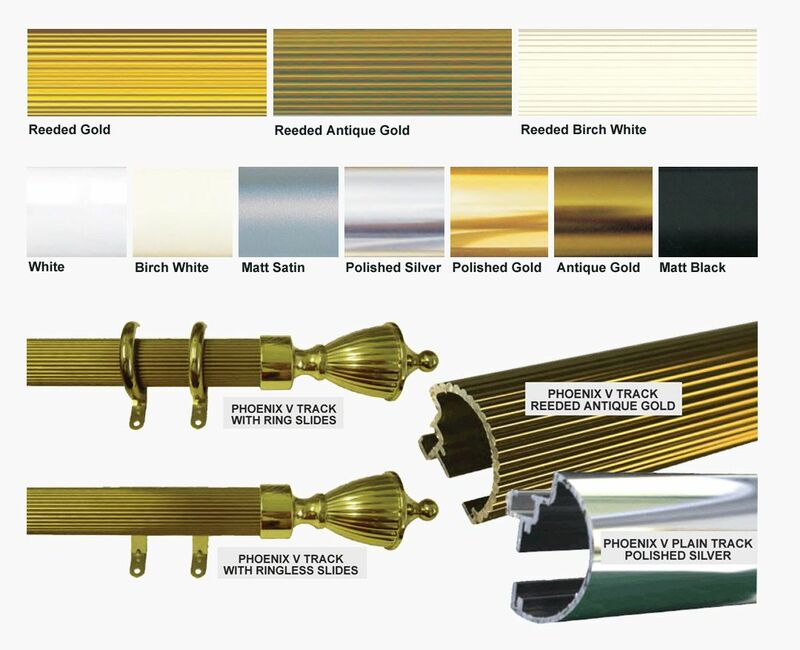 The Phoenix tracking profile can be selected in either reeded or plain, then paired with our standard finials or upgraded to our unique spigot and finial system and range of Metal Finials. Phoenix can also be styled with or without rings. The carefully selected colour range matches the Styleline tracking for when both block out and sheers are required.